See J3374 : No 11 Arthur Street, Belfast (June 2018). Recently opened at 11 Arthur Street. “Seasalt Belfast is located on Arthur Street and stocks our women’s clothing, footwear, accessories and Rain® collections, along with our very special Leach Pottery homeware. All designed at our studios in Cornwall, overlooking Falmouth Bay” - company website. 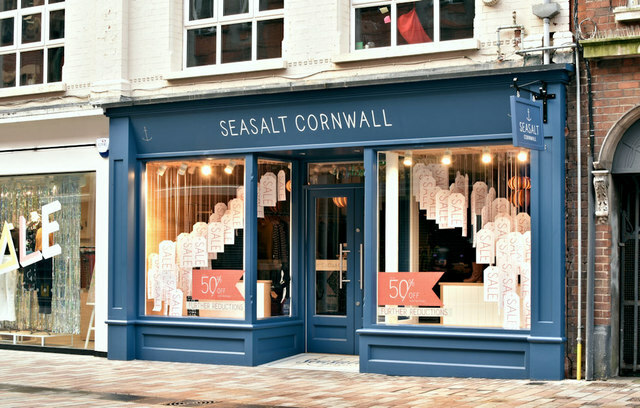 Part of a national chain but only one other “Seasalt” shop photographed - so far SW4730 : Seasalt in Penzance. I have no connection with the business.